Portrait of a Woman was created by screen-printing a self-portrait photograph onto several sheets of sheer, silk organza fabric. 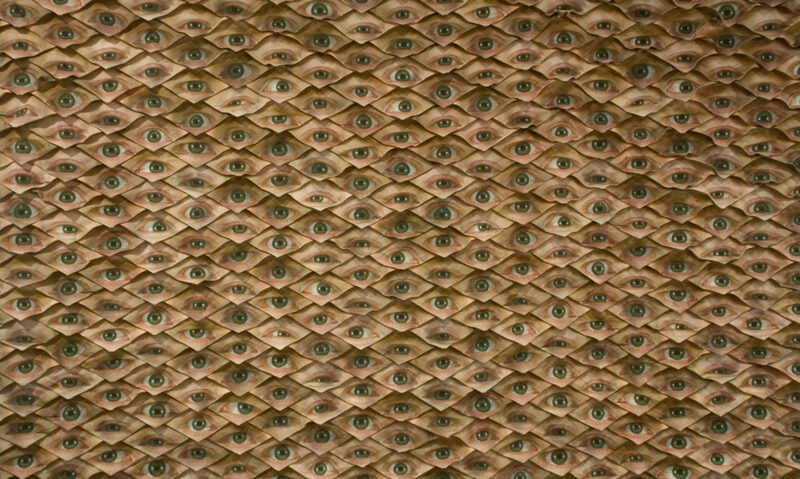 The image of my face fades as you move through the sequence. 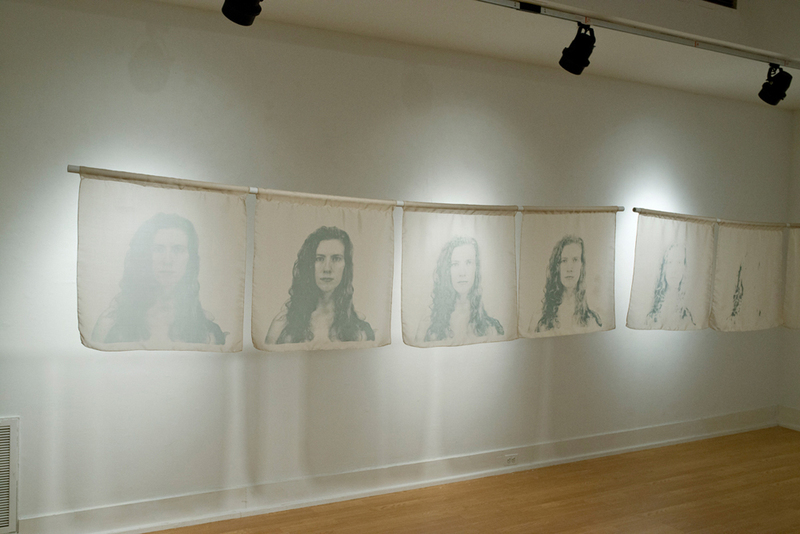 The individual sheets in the piece were layered on top of one another, and then the self-portrait image was placed on top of the stacked layers of fabric and screen-printed. 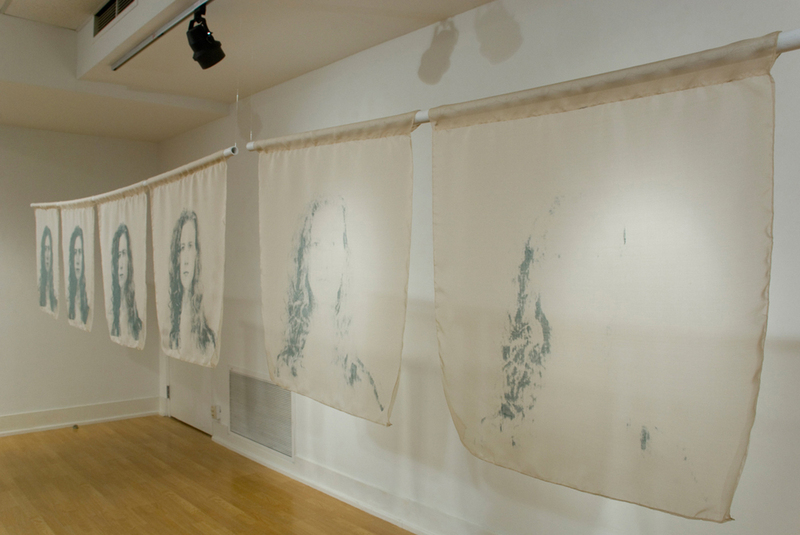 Once printed, the ink from the silk screening process bled through the layers of fabric. The further down in the stack a sheet of fabric was, the less discernible the portrait became. The sheets are displayed side-by-side to show the deterioration of the original image through the layers. 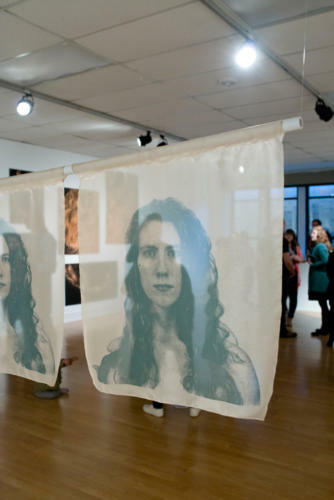 The sheer quality of the fabric prints allows the images to be viewed from all angles. 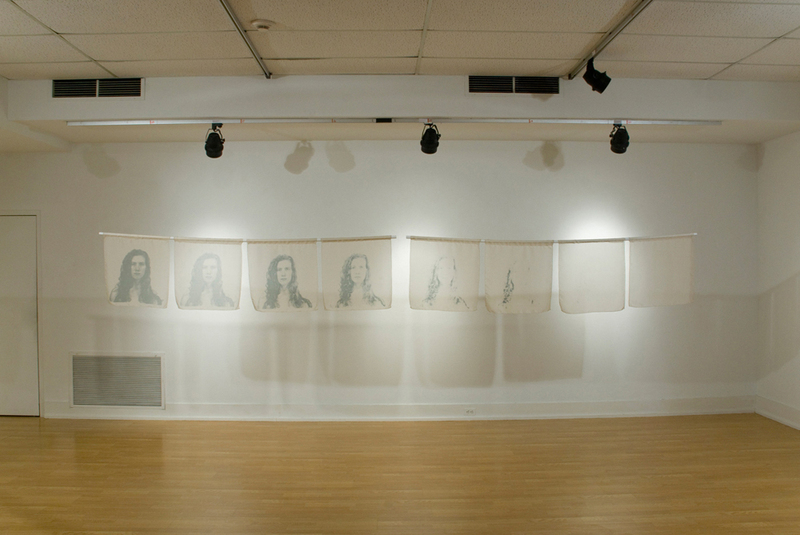 Portrait of a Woman is an exploration of multiples. According to Walter Benjamin, screen-printing would fall under the category of mechanical reproduction. The image of my face could be accurately reproduced many times over using this process. However, by screen-printing through the many layers of fabric, I am creating deteriorating copies of my portrait that may never be precisely reproduced. Benjamin states, “The presence of the original is the prerequisite to the concept of authenticity​.” Portrait of a Woman not only possesses qualities of reproducible art, but it also maintains the aura associated with unique artworks. The deterioration of the image resembles the loss of identity and of one’s individuality. The use of multiples illustrates the differences from one image to the next, and highlights the loss of myself in each consecutive print. While I still resemble myself, the details that make me an individual fade away.